This Wrangler Riggs Men's Navy 3W750 NV Long Sleeve Henley Shirt delivers everything you need in a workwear top. Wear it alone or layer it for all-weather versatility. 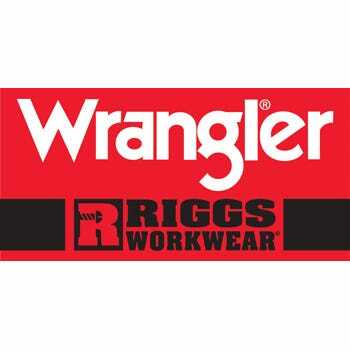 Manufactured to the extra tough standard of Riggs Workwear, this design will deliver everythi ... (see full details) (see specifications) #WRG3W750NV. This Wrangler Riggs Men's Navy 3W750 NV Long Sleeve Henley Shirt delivers everything you need in a workwear top. Wear it alone or layer it for all-weather versatility. Manufactured to the extra tough standard of Riggs Workwear, this design will deliver everything you expect and more when it comes to comfortable and long lasting workwear. This henley shirt is made with your comfort in mind, so Wrangler took care to give it a generous relaxed fit, a taped neck seam, plus taped and vented side seams, so you can wear thermal underwear or another shirt under it and still maintain a high level of mobility. The tagless label means smooth comfort at the neck, without a scratchy tag. And when it comes to construction, Wrangler built this tee to last from 100% cotton ringspun jersey using triple-needle stitching construction. This means it will hang tough against wearing and washing. It's a top made to last through hard-hitting use. This design delivers plenty of stylish convenience too, featuring a left chest pocket with a hidden utility loop. The fitted cuffs at the end of the sleeves help trap in extra warmth and also help keep the sleeves out of the way when you work. Strong enough for the job, but fashionable enough to wear after work, this terrific Wrangler Riggs Men's Navy 3W750 NV Long Sleeve Henley Shirt will also be a great fit in your shopping cart. Order a couple today right here at Working Person's Store! With the great price of these shirts, I can afford a whole weeks worth. They keep the shape and don't shrink. It's a nice fitting comfortable henley to wear everyday, but, I was disappointed because I thought it would be much more durable and heavier in weight, and the fact that it only had two button holes instead of the usual and standard three in henleys. I love this type of shirt in those times when the weather is getting cooler and wearing this as an undershirt keeps me plenty warm and it looks great as well. When you consider how well it's made and how well it wears why would you want to buy anything else? It washes and dries so well that it actually gets better as you wash/dry it. Wrangler Riggs Shirts: Men's Navy 3W750 NV Long Sleeve Henley Shirt is being added to your cart.